Stressed out? Tired? Or having trouble sleeping? Have areas of chronic pain that just won't go away? Want some renewed energy? 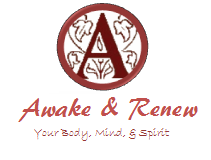 Awake and Renew your body, mind, and spirit with Massage Therapy from Katrina Sager, Licensed Massage Therapist! A Renewing SALT SCRUB to exfoliate the skin that is dead and rejuvenate the underlying skin by rehydration revealing the glowing, velvety, healthy skin underneath. Salts used in body treatments are full of minerals that help enhance skin health and tone. Magnesium can reduce inflammation, and sulfates flush out toxins. When mixed with olive, almond, or rosehip oils, salt can breathe new life into tired skin. Great for people who suffer from acne because it helps absorb excess oil, and especially good during summer months when skin peels due to sunburns. Is salt to rough? Try a yummy SUGAR SCRUB! While not containing the same mineralizing benefits as salt, a sugar scrub offers the same exfoliating benefits of a salt scrub, but softer, and therefore better for people with thin or sensitive skin. Also a good option for first-time scrub users as an introduction to exfoliations. Try a Slimming SEAWEED WRAP to Detoxify and Energize your body! Seaweed body wraps are great for people who suffer from dry skin because they contain minerals, amino acids, and vitamins help the skin retain moisture. In addition to the detoxification process, seaweed also helps people who have trouble retaining water, and offers some slimming properties. The entire process for a seaweed body wrap is an excellent way to relieve daily stress and help the body feel new and improved. Got achy joints? Stiff muscles? Need some firming to go with your weight-loss goals? Try a MUD WRAP. Mud has many natural healing benefits that have been recognized and used for ages. They’re also great for tightening and firming your body. The mud in the body wrap helps open up the pores and the wrap absorbs fluids that are released by the mud through the pores. The wrap then squeezes the cells more tightly together, closing up the spaces where the extraneous fluid once was. This helps you to feel LIGHTER, TIGHTER and LEANER.